The Honeymoon project is one of a handful of uranium mines in Australia, and one of four of its size to be granted an export permit. Australian energy company Boss Resources (ASX:BOE,OTC Pink:BQSSF) continues to move towards a production restart at its Honeymoon mine after receiving a mineral export permit from the Australian government. The Honeymoon project is one of a handful of uranium mines in the country, and one of four of its size to be granted an export permit. The project is situated in South Australia, an area well known for its long, safe history of uranium exploration and production. South Australia is considered the premier uranium mining region in Australia, with the Olympic Dam, Honeymoon and Beverley projects all in close proximity. The Port of Adelaide is also adjacent to the sites, one of the only two ports on the continent approved to export uranium. “Renewing the export permit is a major step towards re-starting production at Honeymoon, as uranium is Australia’s most heavily regulated commodity,” Duncan Craib, Boss Resources’ managing director, said in the statement. In addition to advancing restart efforts and securing the regulatory permits and approval, Boss is working to find buyers for its future uranium. 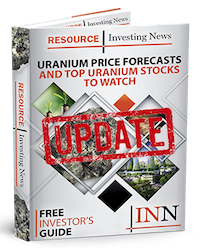 “We have also been in discussion with utilities to enter into offtake agreements, and Boss is considering these in concert with the uranium price,” added Craib. Demand for U3O8 to fuel nuclear reactors is expected to steadily climb into the next decade as more nations integrate nuclear energy into their electricity grids and energy supply. Currently, there are roughly 450 operating reactors in 31 countries, with an additional 50 being constructed. Boss seems ready to capitalize on the growing demand and its advantageous position near China and Japan, a region where nuclear energy is in high demand. Shares of Boss Resources sat flat on Monday (April 8), trading at AU$0.53.